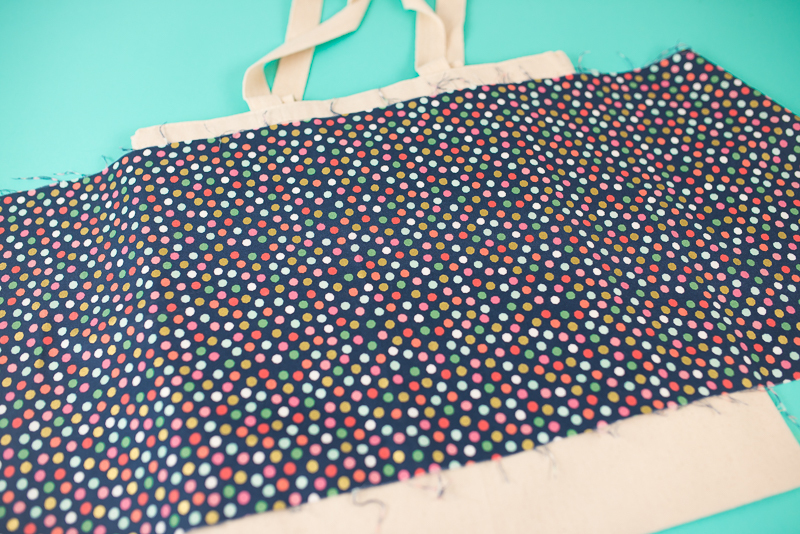 I lowered my EasyPress temperature to 315° and pressed both of my Iron-on Lite pieces to my tote. Once I peeled off the transfer backing, my project was finished! Hey Cricut friends! 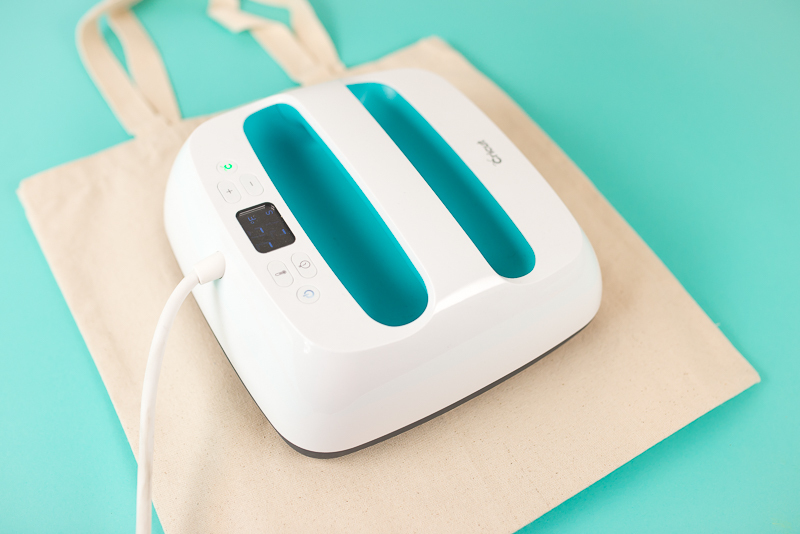 It’s Cori from Hey, Let’s Make Stuff back with another fun iron-on tutorial! Today I’m combining two kinds of iron-on to make a truly custom project—quickly and easily. Cricut recently came out with their fun Iron-on Designs. These pre-made designs are perfect for last minute projects—just iron onto your material and go! I tried them out on a range of colored fabrics and was super happy with the results. 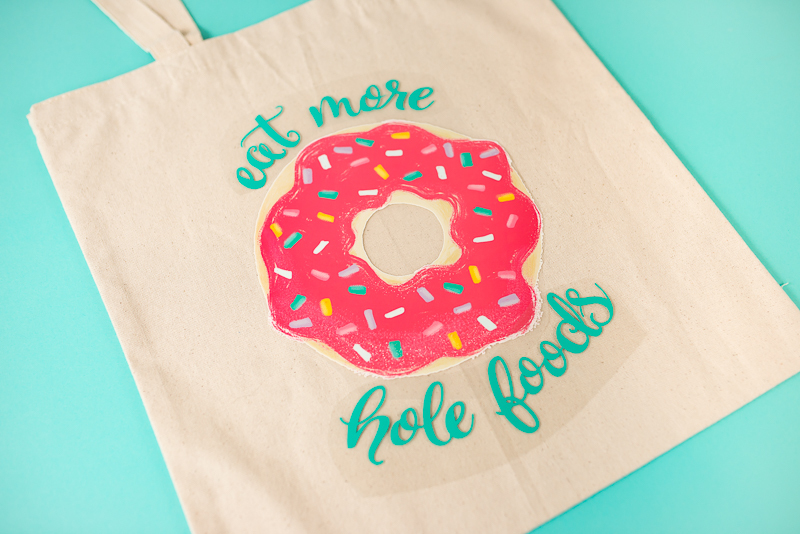 I’ve had this fun donut Iron-on Design sitting in my craft room for a while now, but wanted to rework on a canvas tote bag to use on grocery runs. While the original design is quite cute, I wanted to change the words. I did that using Cricut Iron-on Lite! 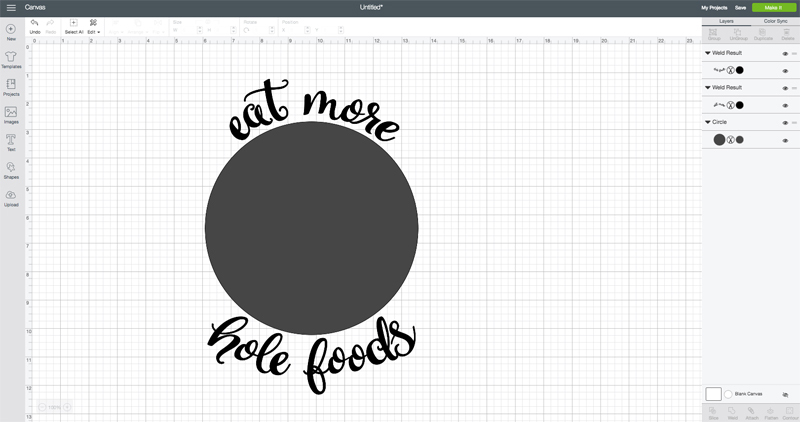 I started by carefully cutting off the original words from my donut Iron On Design using a pair of scissors, so I was left with just the donut. 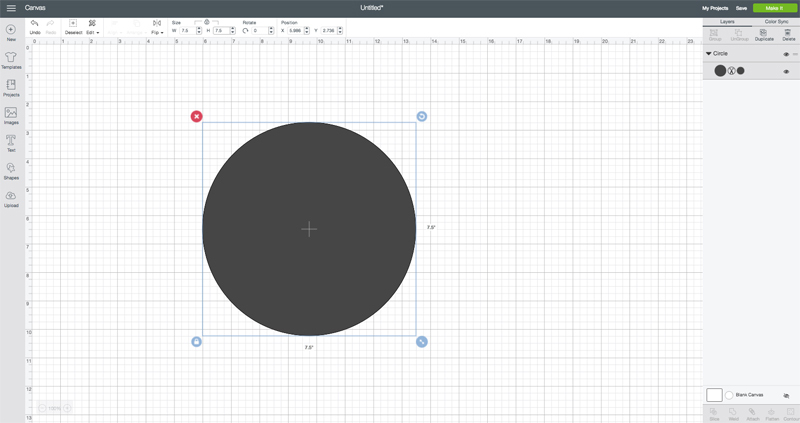 I then measured my donut—it’s about 7” across. 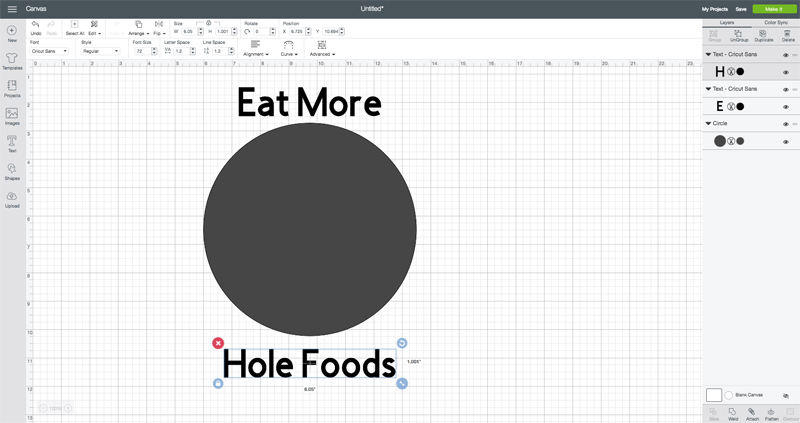 In Cricut Design Space, I drew a 7” circle to represent my donut using the Shapes tool in the Design Panel. I then used the Text tool in the Design Panel to write my new text. I used two separate text boxes for this project. 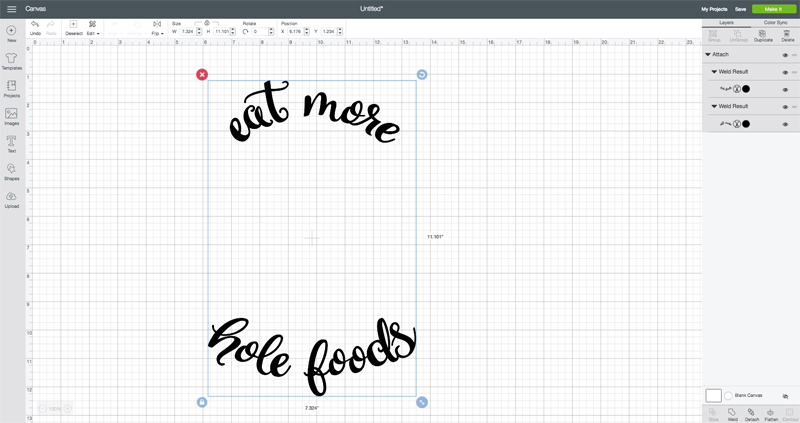 I also played around with the advanced tools in the font menu, particularly Ungroup to Letters (I wrote more about his tool here). This allowed me to move each individual letter and rotate them slightly to really refine how the words look around the edge of my circle. I then welded each line of text so that they would cut out together. I didn’t weld the two lines to each other—I wanted to conserve material and make sure I could adjust where I placed the text in relation to my donut. I then deleted my circle, because I didn’t want to cut it. Then I cut my project! I made sure to rearrange my text on my mat to conserve materials, nestling the two lines together. 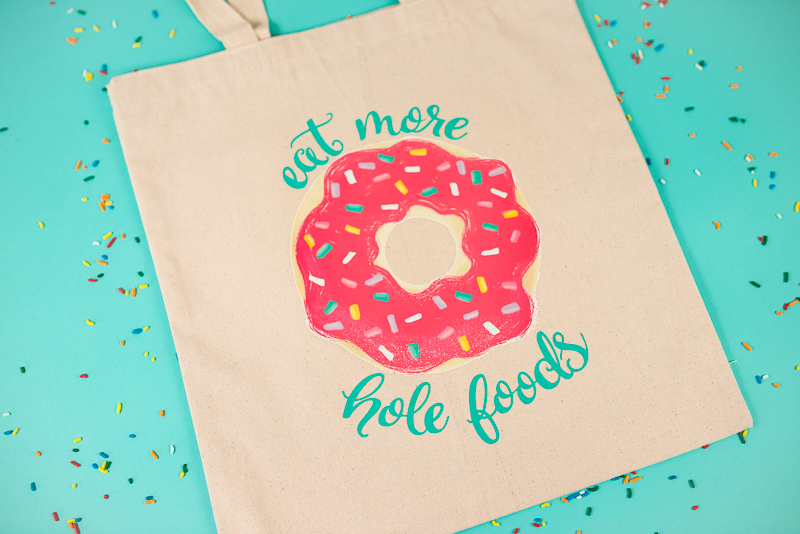 I cut it in teal Iron-on Lite to match the teal sprinkles on my donut. Once I had my pieces cut out and weeded, I arranged them around my donut. I decided to start by ironing on my donut. 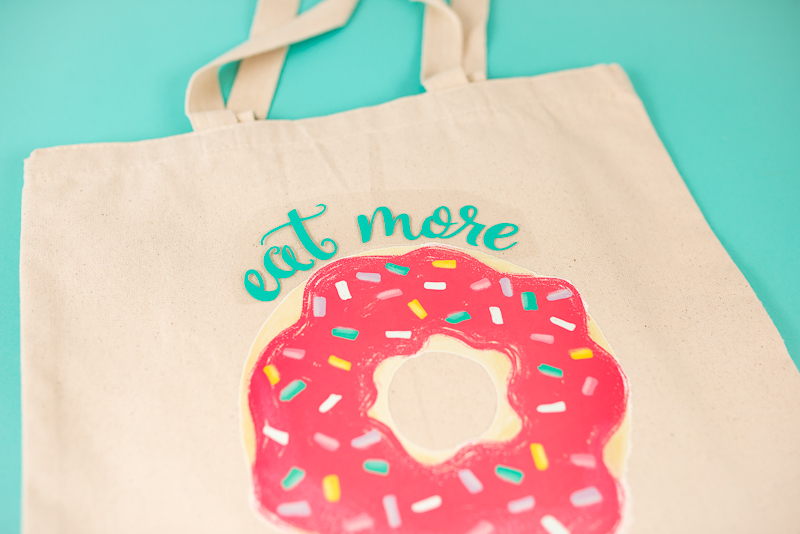 I set my text pieces aside and used my Cricut EasyPress, set to 340° to adhere the donut to my bag. I placed my EasyPress Mat inside my bag to get the flattest surface possible. Then I placed my iron on pieces. 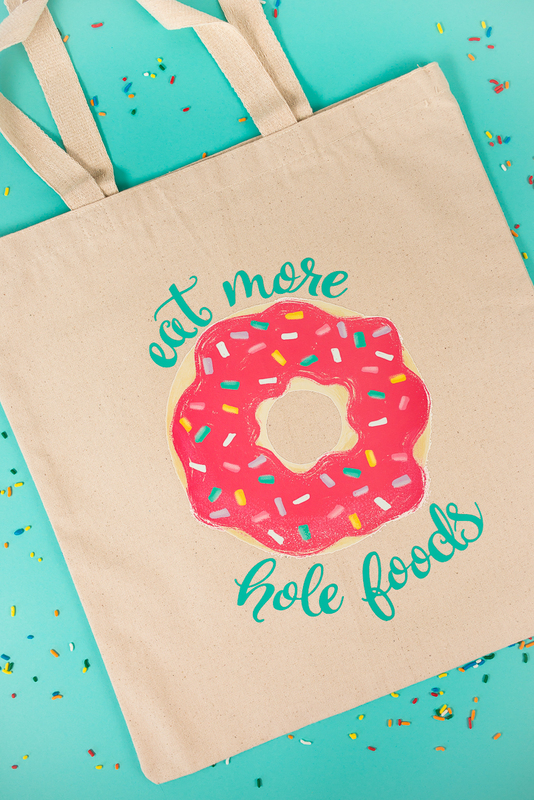 I didn’t want to ruin my donut, so I used a piece of cotton cloth over my Iron-on Lite words. I don’t normally use a pressing cloth, but I wanted to protect the donut from being directly under the heat. 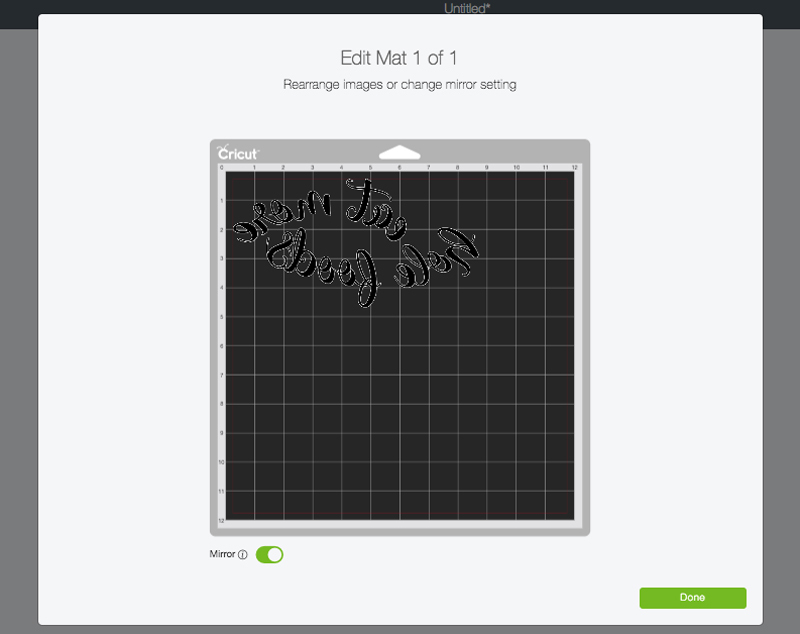 This was a quick way to customize Cricut Iron On Designs! 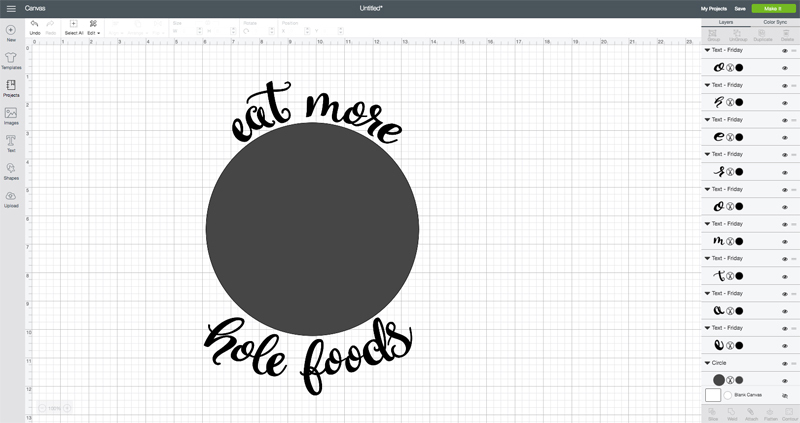 If you want to make this specific project, you can find the text I created in Cricut Design Space here. 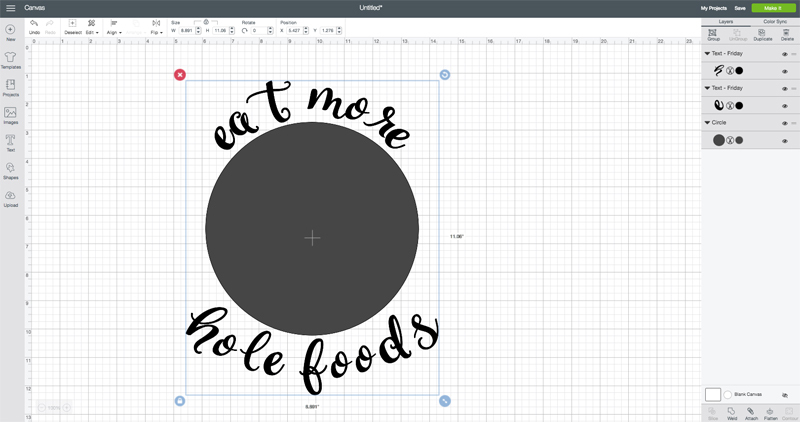 If you’ve customized a project using Cricut Iron On Designs, tell me about it in the comments! such a cute idea! 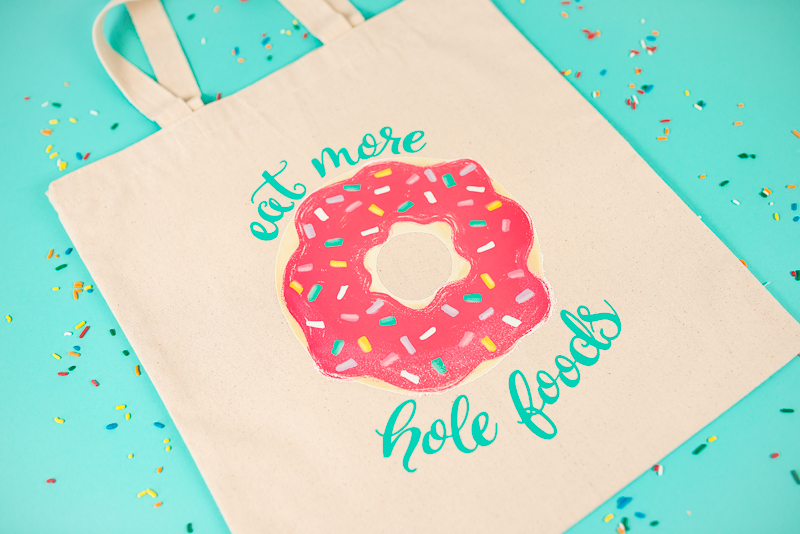 I bought this donut iron on and have not been sure what to do with it but I love the idea of changing the wording! So so cute!